Steaming vegetables have become an essential cooking process in almost every kitchen. There are many reasons why. For starters, steaming vegetables is the healthiest way to cook them. You aren’t required to use any oils, and the cooking process is so quick and gentle that it preserves as much of the vital vitamins and minerals as possible. Unfortunately, steaming vegetables has become an overcomplicated process over the past few years. Manufacturers have started to release specialized pieces of cooking equipment that are marketed towards those looking to steam vegetables. However, steaming vegetables is incredibly easy. 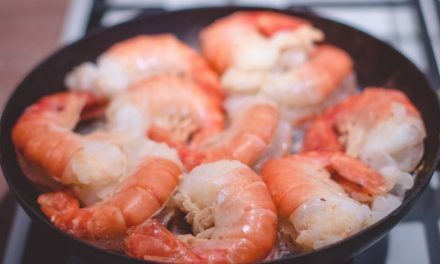 It can be done with cookware that you probably already have such as a double boiler. When you first think of a double boiler, steaming vegetables is probably the last thing on your mind. Double boilers have been used for years to melt chocolate and make delicate sauces such as custards and hollandaise which require a gentle heat. Double boilers can be a fantastic addition to any kitchen whether it is store bought or homemade. If the store-bought option is out of your budget or you just don’t have the extra kitchen space, consider making your own using equipment you already have. All this requires is a pan and a fitting bowl that is either made out of glass or metal. A double boiler can be made at home using a deep and wide pan with a glass or metal bowl that fits into the pan. You want to make sure that the bowl fits perfectly and isn’t too big for the pan or you will get uneven heat distribution. Additionally, the bottom of the bowl should never be touching the water. You can use a bowl that is slotted or has holes in it to allow for more steam to get to the vegetables, but depending on the bowl that could cause uneven heat distribution. 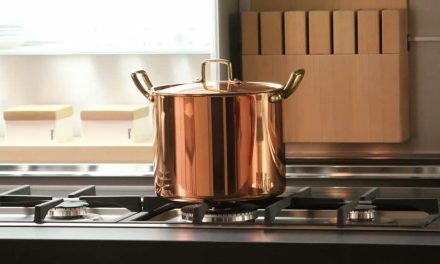 What makes a homemade double boiler a better option than a commercial made one is that it is incredibly affordable and easier to control the levels of heat. You can do this by simply moving the pan on and off the heat when necessary. This whole process works because of the water boiling in the bottom pan. The steam from that simmering water gently heats up whatever is in your bowl. The steam might not be directly hitting the food but the gentle steam heat will cook them gently to perfection. When steaming vegetables using a double boiler, there are a few necessary steps you should follow. First, you need to fill the bottom of the pan with about one or two inches of water depending on how deep the pan is. This is actually a very important step in the process because you want enough water so that if the water boils away you won’t damage the dry pan. It is also important that you keep an eye on your water throughout the cooking process to ensure there is enough in the pan. 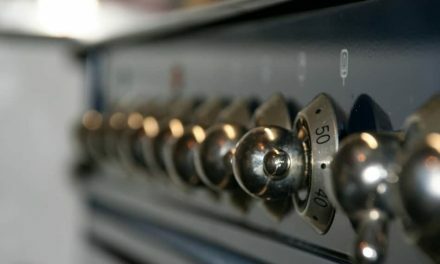 The next step is to turn the stove on medium heat so that you can easily adjust it higher or lower. Too high of heat might cause your vegetables to burn and too low will make the cooking process a lot longer. While this might not seem like an issue, steaming vegetables for too long can make them soggy and it won’t preserve their nutrition as well as the combination of perfect time and temperature. While you wait for your water to heat up this is the best time to prep your vegetables. Most people think you can just throw your vegetables into the steamer and everything will work out. However, this could cause a lot of problems such as biting into a frozen or raw piece of carrot and soggy broccoli. Make sure every single one of your vegetables is cut to a similar size so that none end up over or undercooked. It is also important to understand the cooking times of each vegetable. Broccoli will cook a lot faster than a dense vegetable like carrots. 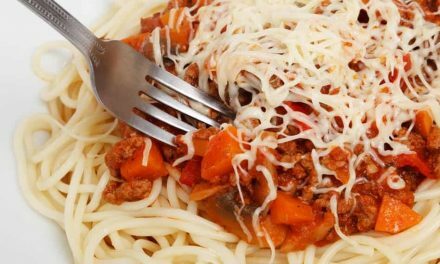 If you are working with a mixture of dense and soft vegetables, add the dense vegetables first so that they can cook longer than the quick-cooking vegetables. If you are short on time you can always cut the denser vegetables smaller than the softer ones so that they cook at the same pace. Once your heat is on and you can see the water starting to move, you can place the top bowl on the bottom pan and add in your vegetables. A good tip to ensure you don’t overcook your vegetables is to start a timer. It is easy to forget about vegetables that are steaming because it is such a gentle heat. Unfortunately, it is still quite easy to overcook your food in a steamer. This is the part where you need to pay really close attention or you will overcook your vegetables. The most essential technique in using a double boiler is to keep the food moving. Constantly stirring the vegetables keep the heat evenly distributed throughout each vegetable so that you don’t end up with some raw and some overcooked. Once the vegetables or tender or have reached the level of softness you prefer, you can remove them from the heat and serve them. Steaming is a fantastic cooking option to get more vegetables in your diet. It is quick, easy, and arguably the healthiest way to cook. There is really no reason why steaming should seem like such an expensive and overcomplicated process. Especially when it can be done in under ten minutes with cooking equipment you already own. 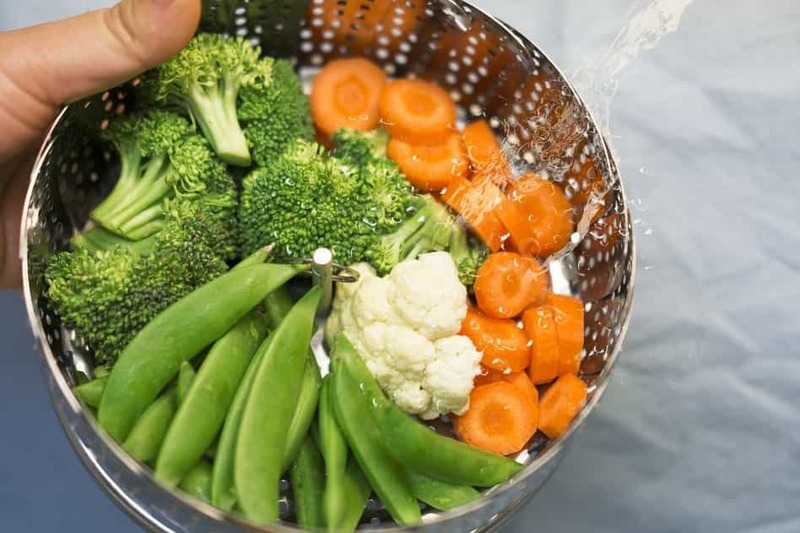 We hope this article shed some light on how easy and beneficial it is to steam vegetables as well as how easy it is to make or use a double boiler for steaming. We hope that the next time you are craving some tender veggies you have the confidence to tackle it with ease.